This necklace reminds me of a fish image. 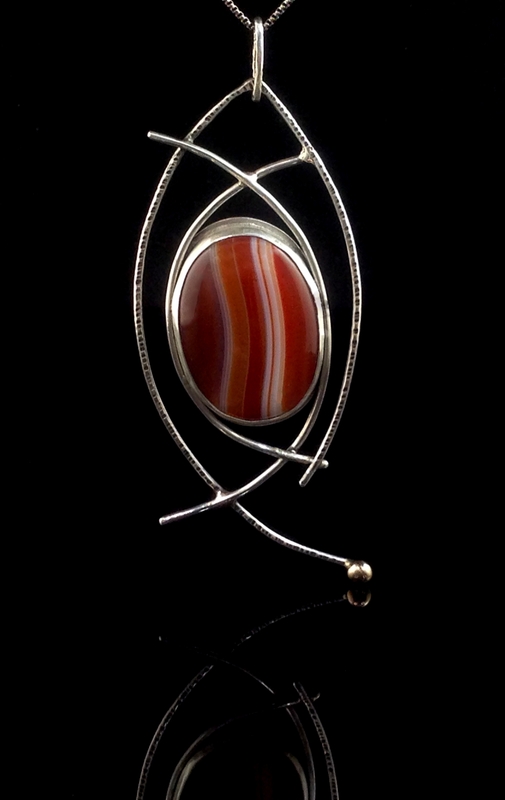 It is created from sterling silver wire, a Red/White agate cabochon and a brass accent. This piece measures 3" tall and 1-1/2" wide. It hangs on a 20" Sterling Silver chain.